Hi there, thanks so much for the wonderful review! We're so glad to hear that you enjoyed the Bukela safari experience. It sounds as though you had some fantastic sightings! We'll be sure to pass on your compliments to the rest of the team. We hope you'll return again someday soon! Until then, take care. All the best, the Bukela team. Thank you for taking the time to review your stay at Bukela. 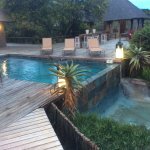 We are so happy to hear you loved the accommodation and that you had amazing game drives and animal sightings. Hope to see you back one day! 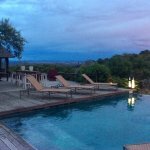 Thank you very much for staying at Bukela Game Lodge and for taking the time to review your stay with us. We are pleased to hear that you had an incredibly pleasant and comfortable stay at our lodge and we are thrilled with our staff's warm hospitality. Game drives are always a highlight for all our guests and we are committed to giving you an unimaginable excursion and we are delighted that you got just that experience. We strive to provide excellence in everything we do- more so when food is involved, so we are so glad you also enjoyed dining with us. We sure hope to see you again. 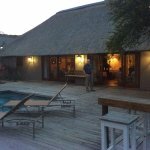 Best wishes, the Bailey and the team at Bukela Game Lodge. Thank you for choosing Bukela Game Lodge for your safari getaway and excursion as well as taking the time to review your stay at our lodge. We are grateful for your kind words and we are pleased you had a really magical experience in the wild. We work extra hard to ensure our accommodation, food and service exceed every guest's expectations. Thank you once again for your lovely review and we look forward to hosting you again. Best wishes, the Bailey family and the team at Bukela Game Lodge.